Sunday has always seemed to work good for us, so lets party on the 13th of July. Let's play the PvP games at steve's place. 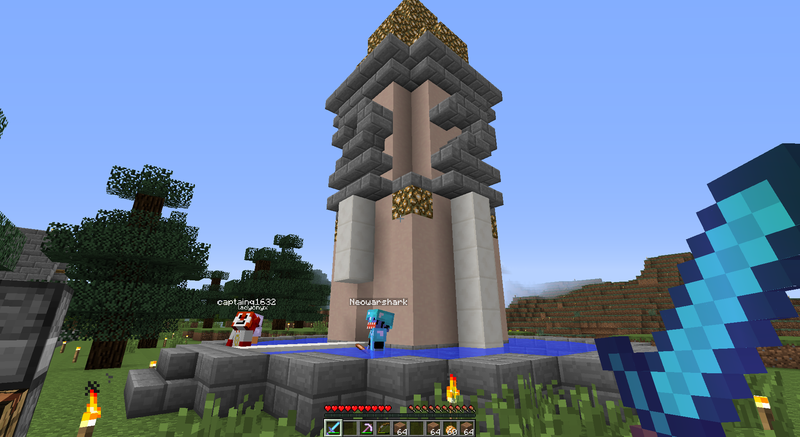 I'd also like to build something at spawn to mark our anniversary, so come with some ideas for a monument of some kind. I'm going to contact members that haven't been around lately (those I know how to contact that is) and invite a few special guests. In fact, I've been talking to our original founder, gnarvin, and he has shown interest. 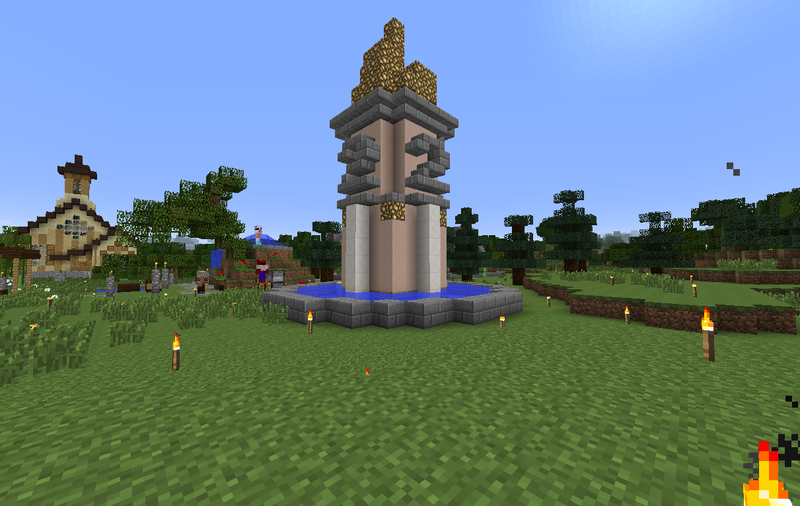 can we get some thoughts on what will be needed for the spawn monument i an a bit hand to mouth with supplies but can try to run some of the farms to help if needed. I have a idea of a gold cup with 2 and Y lettering with it sitting on circle elevated platforms made of stonebrick that are stack multiple levels with pillars sticking out in some spots probably made out of quartz. The platform parts itself could have mossy spots and crack parts and we could fill the cup with water. let me what you think of this idea and if i should make design for it or we can come up with it when we are building it. Just 5 days to go and not many have post in here lol. edit. basely wondering what times people will show up . edit2. i will show up later on that day but i might get up earlier. Sunday, Sunday, Sunday the biggest party ever there will be mini-games fun and a monument build at spawn. hope you feel better steve and let us know if you need help with anything. 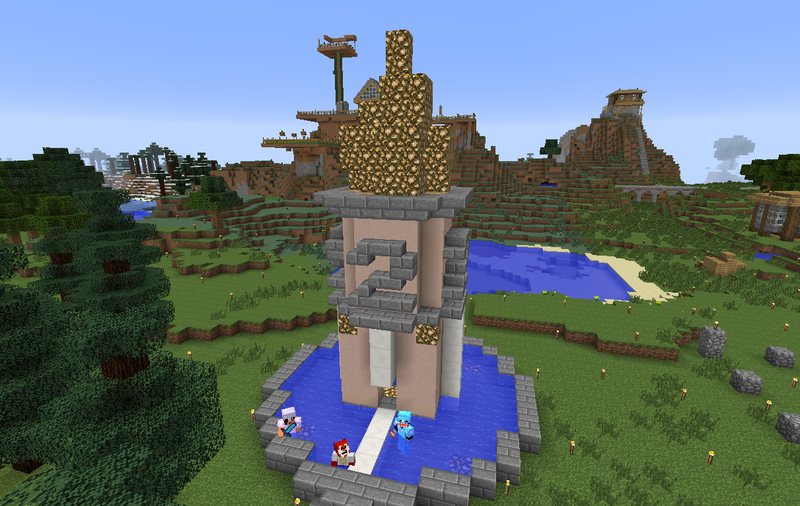 The 2 Year Anniversary Monument at spawn was completed at the party. It was almost completely designed by and mostly built by CaptainQ, who doesn't have time to be a regular player but was a special guest as he is a friend of mine, steve, ladyonyx and NihonTiger (who were also all at the party). Check him out! He has an awesome voice and is an interesting commentator. He mostly streams gaming and art (he is a talented artist). We could still use some landscaping around the monument, so anyone who wants to work on that feel free. It is located behind the inn by the garden. some bugs but it the first time playing them for real. Dont no why it has 16 fps i did not notes it it must have been a blip the old computer is not as good as the newer one but it gets 30/40 fps which is fine i cap it at 40.